Katie handles the day-to-day management, coordination and organization of the 5-member Restore the Mississippi River Delta coalition, as well as provides direct support to Steve Cochran, the campaign director. Originally from San Francisco, Katie has been exploring and interested in coastal habitats from an early age. She fell in love with Louisiana’s coast while attending college at Loyola University New Orleans where she received her BA in Political Science in 2013. While earning her Master’s in New York at The New School, Katie learned about coastal land loss in Louisiana and re-focused her research on the topic. 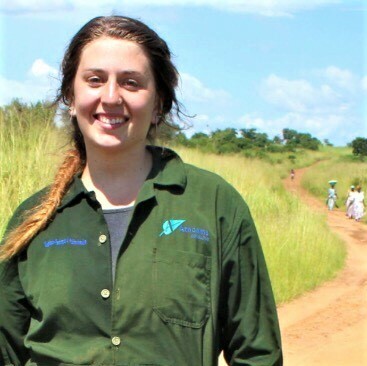 While in graduate school she worked with an environmental consulting firm in Uganda, and conducted research centered around wetlands in Kampala. After obtaining her MA in Sustainable Development in 2015, Katie moved back to New Orleans and served a year as an AmeriCorps VISTA member with the New Orleans Office of Resilience and Sustainability working on volunteer development and community outreach. She is also part of the Ripple Effect Water Literacy Project, working to promote local, design-based environmental education throughout New Orleans.